Absolutely dreadful weather in London these days, I missed most of the morning passes sadly. Only had one clear morning when I could go out, do the setup and give imaging a go. Sky was clear, but the seeing did not allow me to take as detailed photos as I wanted. The japanese HTV-7 Kounotori cargo vessel (which I photographed solo before arriving to ISS and also berthed to ISS) just left the International Space Station a day before, so I knew it should be pretty close to ISS. But had no clue how far from the station it will be, before or after it will appear. 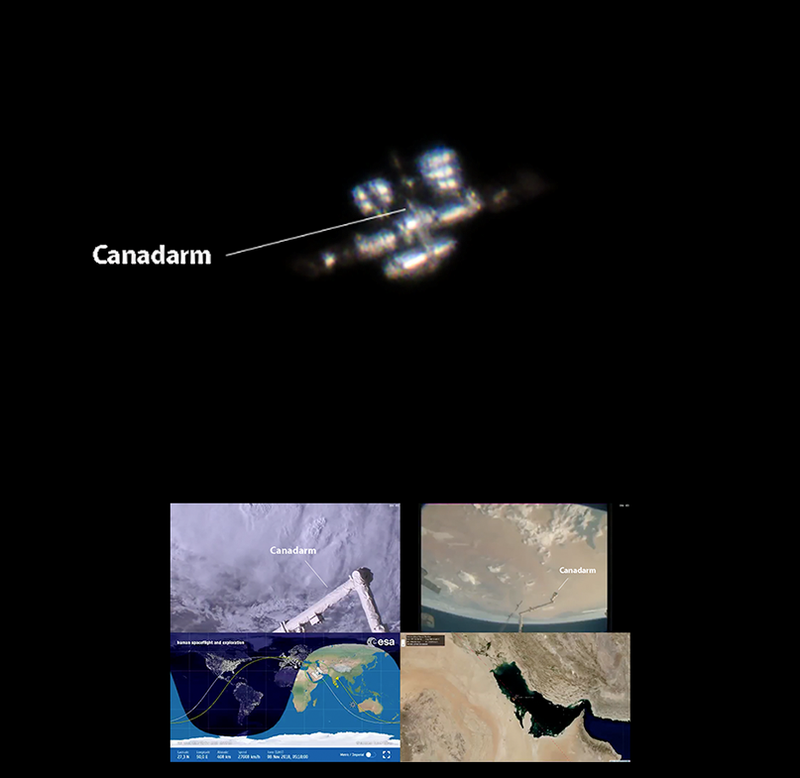 As you can see the pass was not ideal, ISS only became illuminated from 75° of elevation which means it was fully illuminated from roughly 80°. 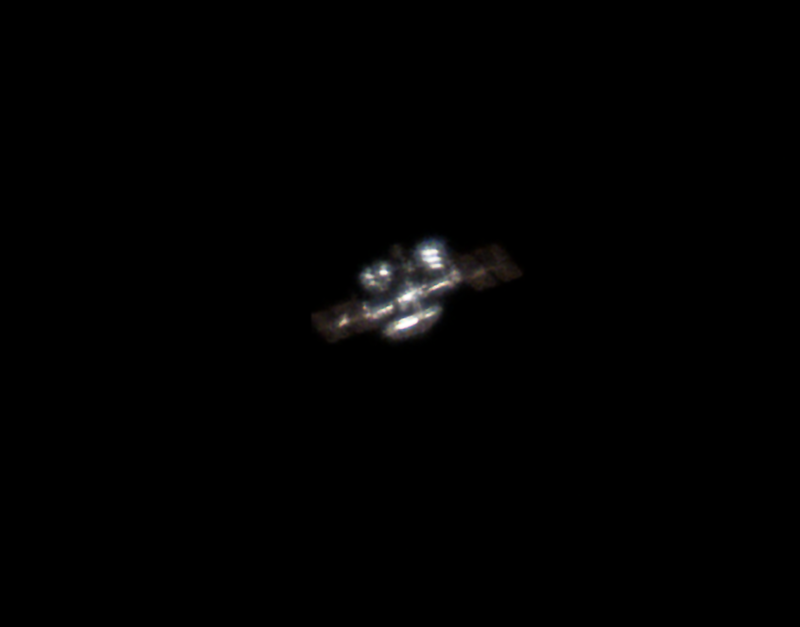 I messed up the tracking a bit when ISS was overhead, it is always the hardest part to track the station when overhead. But even when I was tracking quite accurately, frames turned out to be blurry and washed up for some reason. Sharpness seemed okey so I can only blame the quality of the sky. 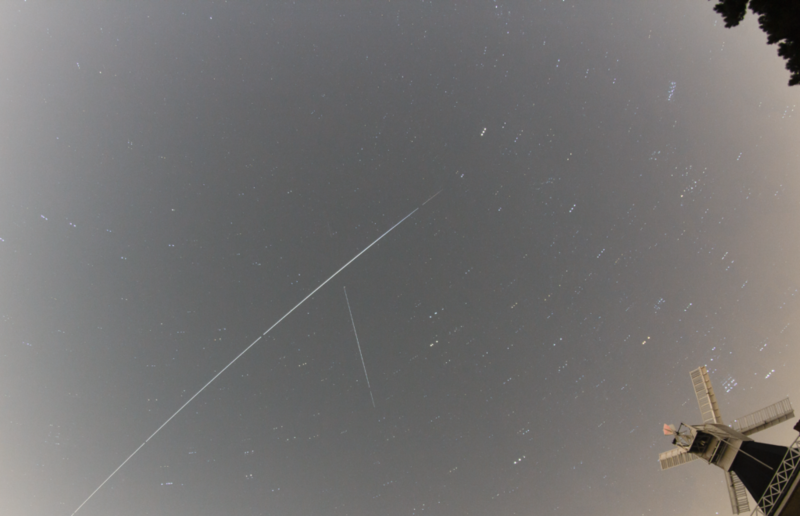 I also took some startrail photos about the overhead pass, I was hoping to spot HTV-7 Kounotori on them. ISS heading from the center of the frame toward the bottom left (east). Also a satellite rising from bottom center (south) toward the center of the frame. 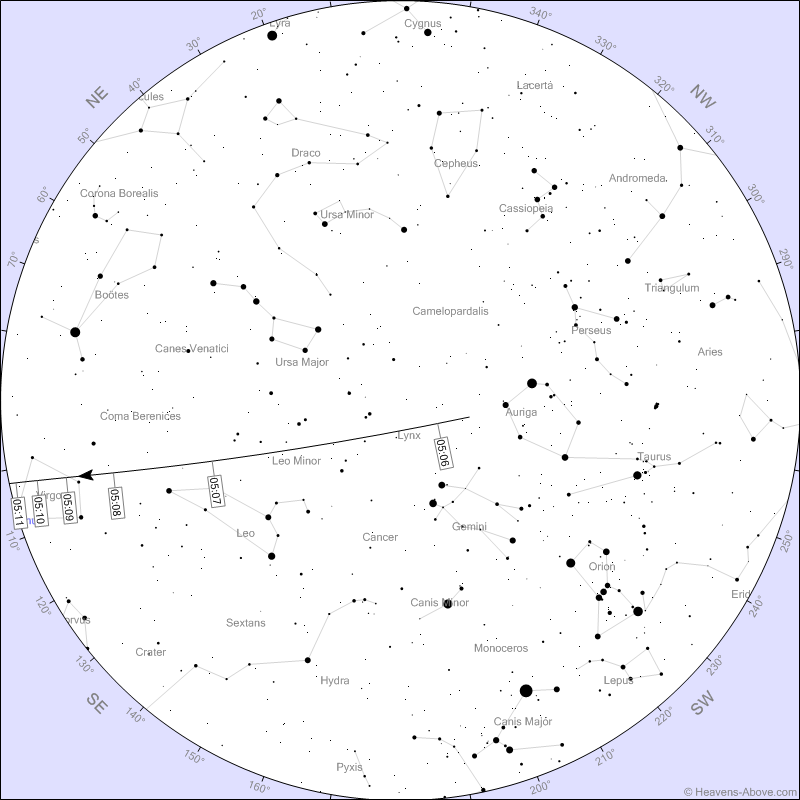 Maybe an Iridium, but need to double check it. The International Space Station and japanese HTV-7 Kounotori cargo vessel a day after being unberthed from ISS. 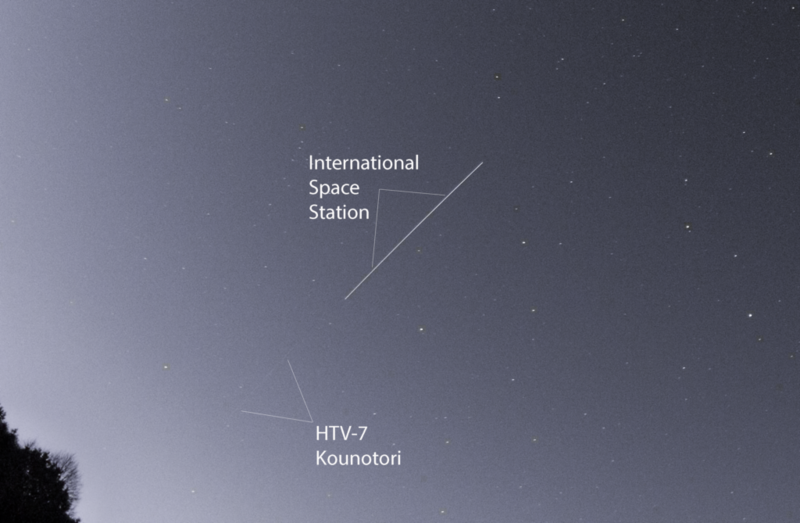 The HTV-7 trail is very very faint. ISS and HTV-7 were heading from west toward east, east it were London and its enormous light pollution really destroys fine details on long exposure shots. Luckily although very faintly, but HTV is still visible on my photo.